Merck works in a highly competitive and fast-moving environment, so leadership competencies are of key importance for the organisation’s very busy senior leadership personnel. The challenge was to find an inspirational facilitator with a deep understanding of senior management issues coupled with an informal approach. In short we needed more than just a trainer. Enter BrainovateTM. We delivered executive coaching in Belgrade, Team building in Montenegro and team and leadership workshops in Bucharest. Before every intervention we took time out to meet and really understand Merck’s specific needs to make sure that all objectives would be met both at an individual and organisational level. IBM wanted to implement a series of team-focused initiatives to enhance senior management leadership skills - something interactive, experiential and with an emphasis on discovering leadership and team strengths. We designed and facilitated a series of triannual workshops and one-on-one coaching sessions with nearly 80 leaders over a two-year period. We facilitated modules on innovation, leadership, storytelling and motivational profiling using the Strength Deployment Inventory relationship building assessment. BrainovateTM’s brief was to build a lasting and meaningful leadership culture across senior and mid-management lines throughout the company. The solution needed to be tailored to the experienced multi-cultural audience and customised to the client’s specific needs during a period of uncertainty and transition. After a series of in-depth leadership conversations to establish overall needs we focused on the concept of ‘lasting’ and suggested that our Legacy Leadership® programme, tailored accordingly, would be the ideal approach to bring about meaningful and profound leadership change. The programme was delivered over a period of 6 months.  British American Tobacco and BASSE had already worked with BrainovateTM on two global Growth Academy initiatives as well as leadership workshops for their operational and senior management teams over a period of many years. They place high value on people development initiatives and asked Brainovate™ to help develop their leadership pipeline by designing an industry-specific, innovative mentoring programme for the ‘high potential’ people in their organisation. Following extensive conversations with key influencers and leaders, we designed, developed and facilitated a series of focus workshops, one-on-one mentoring conversations and mentor/mentee matching sessions, as well as skills-based training. The programme lasted one year and is now being rolled out again for 2017/18. After the merger of four companies under the MOL brand, and a challenging integration and post-acquisition period, the senior management team wanted to celebrate successes and create new bonds. BrainovateTM designed and facilitated a two-day team building event called ‘Together as One’, with the entire 200 person multinational team in attendance. We delivered a combination of highimpact, high-energy team building activities, focused team ideation sessions, conversational exercises to discover ‘one team’ strengths, as well as fun, informal opportunities to get to know each other better. As over 30 global, regional and country leaders gathered in Barcelona for their annual general meeting, Amplifon management knew that the outputs from this convention were particularly crucial given the intensity of the transformation in the industry, the new, group strategic plan with revived ambitions and a largely renewed senior management team, including a newly appointed CEO. After brainstorming meetings, we agreed on a week-long mix of content-driven sessions (focusing on strategy and organisational alignment) and an interactive, full-day session dedicated to ‘working together’ as leaders in the new business and organisational context, as well as the development of clear strategic action plans. It was an amazing collaboration. The facilitator was able to create a high level of energy and openness, unconventional engagement and focused learning conversations. Some country leaders spontaneously asked to have similar sessions in their own countries with their own management teams. It was a terrific booster for smoothly reshaping the leadership culture of the group. Giovanni Caruso Chief HR officer, Amplifon group.